Current descriptions of the process in design are determined by two conceptions of the roles that the designer assumes and which diametrically oppose each other. Both descriptions produce their own myth, which in turn influences both the self-image of the designer and his creative activity. In this article, I would like to characterize these ideal concepts as the respective extreme of a spectrum, address the process obsessiveness of the designers, and, of course, offer a more moderate, third way, which locates the design itself in an unfamiliar position of the process. But before we can start this discussion, we have to go back to the initial question. As already mentioned, the ongoing debate on the design process is determined by two roles of the designer who stand for a certain self-understanding of the profession. The first of these roles, attributed to designers themselves and their designs, is the role of the design genius, which they have borrowed from the visual arts. Until recently, this understanding could still be described as antiquated. In art, too, this idea had already been laid down some time before. In design there are still the great names of the past century, for example Paul Rand, who according to the legend never designed more than one draft since this one draft was the best one possible. In today’s design practice this would be unthinkable. In the recent past, however, it has been shown that contrary to a pragmatic communication design practice a development can be observed that could be roughly summarized under the heading of the author’s design. In addition to the emphasis on the attitude and the responsibility of the designer, this concept naturally conceals the idea that a master of design is booked for his individual and outstanding style in order to apply it to a wide variety of products. Accompanied by the discourses of the creativity impetus and under the pressure of individualization, we have brought the disposition of the artist genius back into the design profession through the back door. How is a design justified in this constellation? If you take it exactly, not at all. Because the designer, who is actually an artist, does not have to design. He as the one among many has been kissed by the muse and she was really thorough in that. His inspirations are ingenious, the design flows out of him and every brush stroke sits perfectly. The genius is a gift given to him – though not by God – but possibly by the genes (no one can be quite certain here). No education in the world can ever teach him what is deeply hidden inside him, which he only has to develop himself. 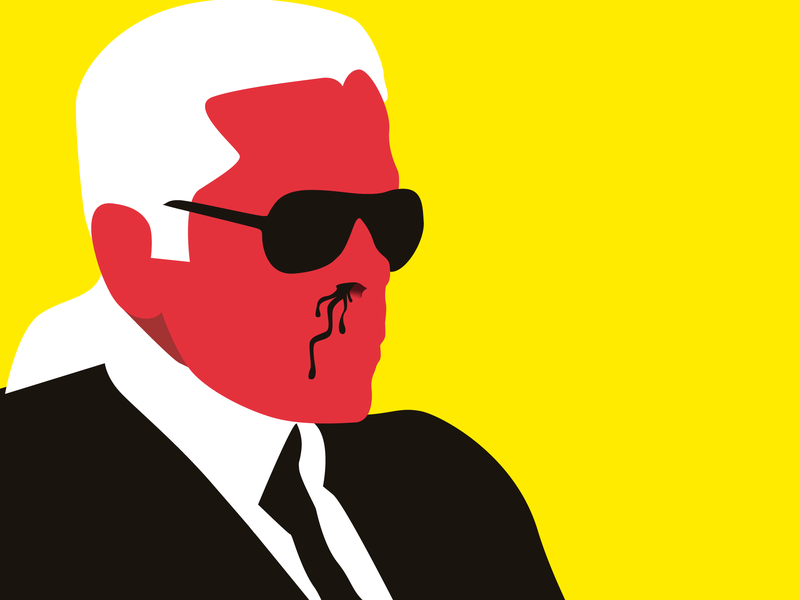 His approach to design is unique and he alone is able to revolutionize the entire discipline. Together with this elitist concept, the behavior of a smokers’ corner avant-garde, a literary “too cool for school”, is already looking for a way out in the faintest breath of a briefing. The other, less gifted designers, whose training has already been classified as too narrow minded and who can not look beyond the regular boundaries of their own world anyway, can take on these profane tasks. The transfiguration of the designer to the artist’s genius drives up the prices to be paid for individual pieces and author’s designs, but remains incompatible with an everyday practice and can not be taught by any design education of the world. The design is idealized in this case mythically by the ingenious inspiration and removed into unintelligible heights. 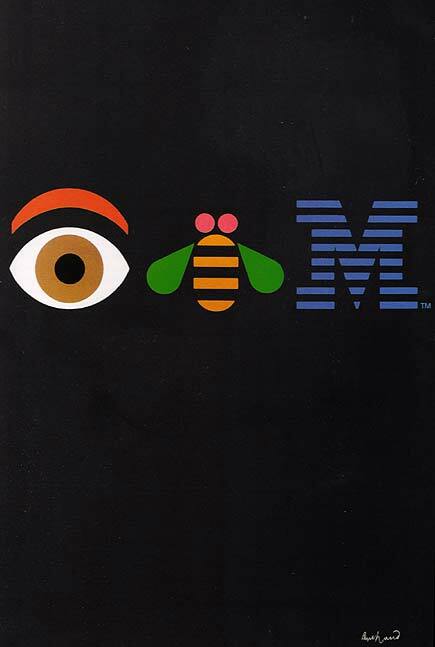 The Eye Bee M Poster, designed and signed by Paul Rand. The second concept, which, as already announced, is the opposite of the artist genius myth, which categorically excludes any ingenious gesture and talk of inspiration. It is the interpretation of the role of the designer as that of a planning engineer. Even if the word genius is somewhat contained in the word “engineer”, the two have little in common. The designer as an engineer usually only approaches a draft when he has gathered enough information and data to justify each one of his planned steps. He likes to use psychology, the decipherer of the mind, and mathematics, the constructor of worlds. The first allows him to anticipate every reaction of his target group and once he has understood it, he even makes them react responsibly. The (psychologically) targeted use of colors would be an example. The second of the two salvages allows the designer to divide the useful and the superfluous, to build his design exactly according to a logical equation, so that his designs do not only seem to be one hundred percent symmetrical, they actually are. Such a cybernetised design process is, of course, the ideal dream of ​​any market research institute. Nor is it surprising that the designer engineer tends to develop schemata for his design processes, which can almost automate them and make the designer himself obsolete. As I said, almost. This planability and automation is reflected in the Western concept of design modernity, which was in search of the universal rules of design to create an international world design. The idea of ​​this world improvement through design, of course, laid the foundations for what are now international markets and production chains. Absolute computability in design goes hand in hand with economic calculation and rationalization. On its triumph, it then leveled any cultural difference and prepared the indifferent stage for global brands. To speak of a mythologizing of the design process seems almost contradictory. However, if you isolate the role of the designer, you will find exactly what the dialectic of the Enlightenment wanted to describe. Just as the liberation of the spirit by rationality and logic ends again in a prison of mathematical and economic constraints, and as a world conquest can easily become a conquest of the world, the designer also falls into this self-imposed functionalism. The role of the designer is mythologized when he considers himself beyond the cultural context and does not recognize this dialectic. So these are the two extremes that the discursive charging of the design process shows us. In one, we become an elite artists’ club that dreams away from everyday world and in the other standardized traders of the economy. Where the one design process remains immediate, the other is rationalized so that it could be executed practically by everyone; Recent examples of automated, code-based logodesign confirm this. With this idea of ​one’s own being thrown into the world I refer to Heidegger’s concept of being. To explain this in full length would go beyond the scope of this post. That’s why I only want to refer to the thrownness and the »Entwurf« and explain this in my own words to make it fruitful for the design. In short, the thrownness of every existence describes that none of us comes out of nothingness into a neutral world. Our life is determined before our birth by a past which we have not chosen ourselves. This includes ecological, economic, social and cultural networks, the interests and influences of both our closest relatives, as well as those of the President of the United States, who actually also has a significant influence on our existence. In this world we are cast down and determined by it at the beginning of our lives, without any influence on it. But what we are very likely to have is the way in which, in the course of our further life, we behave to our own thrownness and to the world. Here our own perception, both of the world, of ourselves and of our position in it play a decisive role. Only the awareness of this position allows us to seize certain options in this world and to reject others. Only when we are able to reflect on our own being-in-the-world we gain an insight into the future and past, which allows us to act. By reacting to the world and doing this by our own individual characteristics, we throw ourselves out of our thrownness (»Entwurf« meaning literally to de-throw oneself). 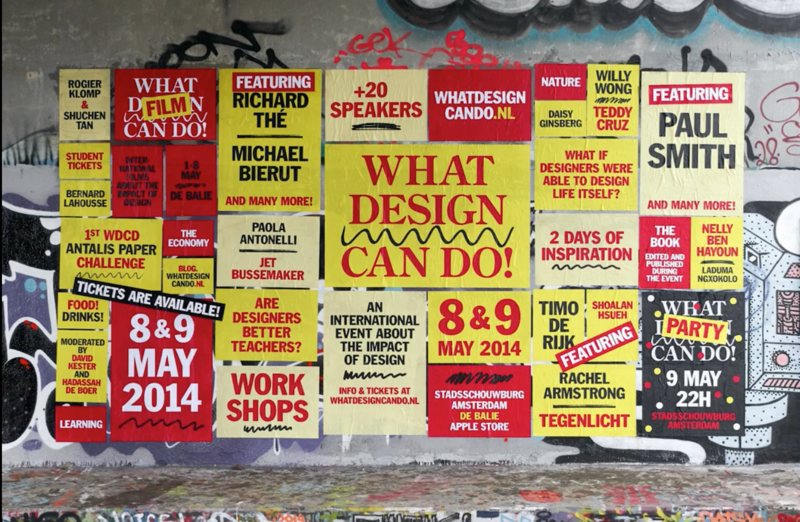 We design/de-throw ourselves. This design is not only taking place on a purely conscious level. Although we know about our own limitations and conditions, they are not always present to us. Not all actions are controlled and not all knowledge can be explored. This is all part of the design. The design is the point where we extend our own feeling to the world in which we physically merge with our tools and trigger a chain reaction in which we are affected and return the impulse. Every time I cross the boundary between Me and the world in some way, I design myself out of my own thrownness. What do we get out of this concept of the design, which puts the design draft or de-throwing before there’s any action taken, away from the fetishisation of the process and the – in my opinion, overvalued – fixation on the unfinished and the alternatives? I am certainly not a friend of schematic drawings and work instructions. Some people think they can help with the work, but I find that there are as many approaches as there are design tasks. To design is to work with the world. This is always a new work that will always look different than any other. In addition, it is the work of a particular person or team. So it does not take much to look at the design process separately from the task and to generalize it. Each scheme is in some way a simplification, an abbreviation that does not exist in reality. 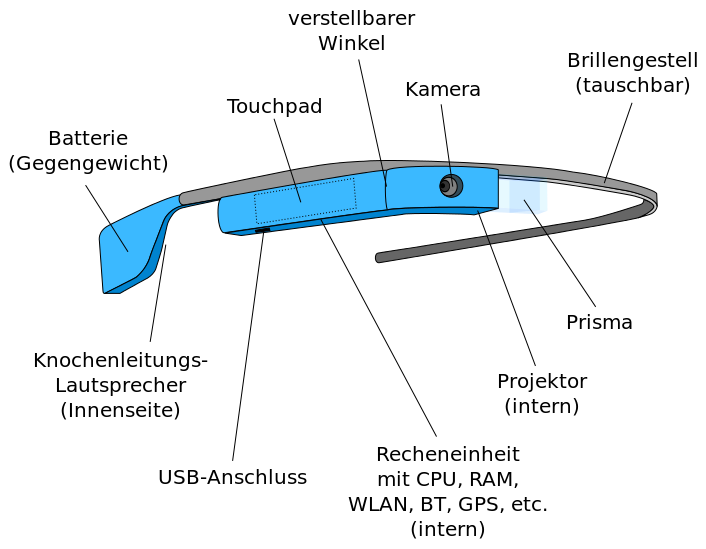 But a specific and particular design processes also has its problems. Emphasizing simply that there are so many other ideas and variants for the design, instead of showing the supposed creativity of their creator, they might represent the indecisiveness of the said creator. The design process is one in which sovereign decisions have to be made, even if it is a process between client and designer. “It could have been completely different” can then quickly become “Actually, we are not so sure of the end product”. What is the advantage of having an untranslatable design process together with the final design product? On the one hand, it makes it quite visible: different ideas, different designs led precisely to this one, final product. These can not be repeated for any other arbitrary task, they are specifically responsible for the result, which is finally implemented. On the other hand, a design that realizes itself as a definite difference from a non-infinite, but undetermined number of possibilities, points in its own determinateness precisely to the other unrealized possibilities. These are the variations of the design process. It can again reinforce the tension ratio that each design automatically builds up to its non-necessity by actually realizing it. The showcase of the process can thus promote an open design concept, as well as inspiration, new impressions for new design drafts and new expressions for other designers. One should not exaggerate this process, or question one’s own sovereignty through the display of countless variations. Only the definite difference of the finished design product can maintain the tension to the indeterminacy of the possibilities. The process and the variations are always part of the final solution, the additional reference to them and the deliberate display should only make the openness of the design aware and strengthen the determinateness of the chosen solution. The showcase of the design process is a two-edged sword. INK acknowledges this but cannot overlook the positive effects for the purpose of education. The process points to the openness of the design solution and also underlines its non-necessity. However, he does not weaken the sovereignty of the final implementation. To share our process with others is, above all, to inspire other designers and ourselves to always approach different tasks and go through the world with open eyes. Our own personal design can also be influenced in the same way. It is remarkable how much a single paradigm can completely determine a thoroughly complex discipline such as design in all its facets; How effective and for how long this scheme was consistently used to justify any decision. Following the creed of: it must be like that, it can’t be any different. Reductive perfectionism has always been the cheapest excuse. But all this minimalism started with such a wonderful alliteration. It is so simple that even today for many designers it seems as simply said as it’s applied to their work: form follows function. 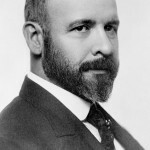 The American architect, Louis Sullivan, is quoted not as the single author of the paradigm but as its most famous proponent. Unfortunately the problem already begins with quoting only those three words out of context. This skyscraper-builder of the Chicago school used those inspired words in his essay The tall building artistically considered, which appeared in 1896. At that time, however, one can assume that this had already become commonplace. For Sullivan the nature of a thing, its innermost being, must also be reflected in its form – and in that he was a child of his time. The gigantic skyscrapers that Sullivan wanted to erect on the ashes of downtown Chicago, which was largely destroyed in the great fire of 1871, had a completely unknown and new function for a building at that time. This new type of building also required a form which had not yet been used, in which the new function (the accommodation of offices) could be shown to the outside. The answer to this was as brutally simplistic as obvious. The new sky-storming office buildings should be designed as rational as possible and as places of reason and mental work. They were the counter-design to the bourgeois, over-decorated home, and in their smooth surfaces the progressive spirit of the time should be reflected. Because each floor was similar to the one above and below it, all units had to look the same. Only the roof and the entrance were decorated as it is the case with an ancient column’s capital and the pedestal. It is precisely this residual ornament that give Sullivan’s form follows function a dimension that was simply shortened in later use, especially by the Bauhaus. Sullivan’s functionalism was not as radical as that of German modernity. Even for the soberest of all office buildings, decor was regarded as a not-to-be-neglected function, which should show itself at least in the representative entrance area. So for Sullivan there was – even though in brackets – behind the singular function still one plural (s). In the omission of this residual ornament, in the regular plucking of the implicit plural, lies the whole drama of functionalism, which through the Bauhaus and the myth surrounding it should influence our conception of design far into the second half of the twentieth century. Luis Henry Sullivan was born on September 3, 1856 in Boston. He studied in Paris at the École des Beaux-Arts. He worked especially in Chicago, where he died on 14 April 1924. Die Rekonstruktion des Bauhausgebäudes. Gegründet wurde das Bauhaus 1919 in Weimar. 1925 zog es nach Dessau. 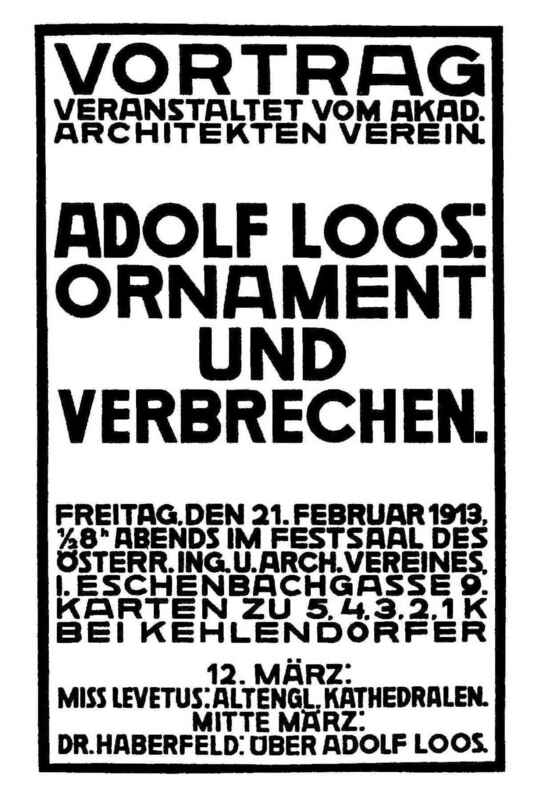 The– according to Adolf Loos – criminal ornament was the root of all evil. This had dominated the entire history, even through the bourgeois to the modern era. Pomp and decor enveloped the world of the Ancien Régiem and the nobility, turned everything into mere surface, glamor and masquerade. With the onset of the industrial revolution they became accessible to more and more citizens, who were finally given the opportunity to follow the nobles they had just overthrown in France. And although any decor was still denied to the simple workers, it became the mist that clouded the clear-cut understanding of every rational man in the cityscape, it lingered in the facades of the bourgeois tenements. Thus all technical progress couldn’t do much as long as society was still entangled in style. Unless we rid ourselves of the superfluous decor and with it the useless waste, the powerless excess, the illogical exaggeration, and all that was alien to the nature of man from the beginning and therefore harmful and degenerative to society as a whole. 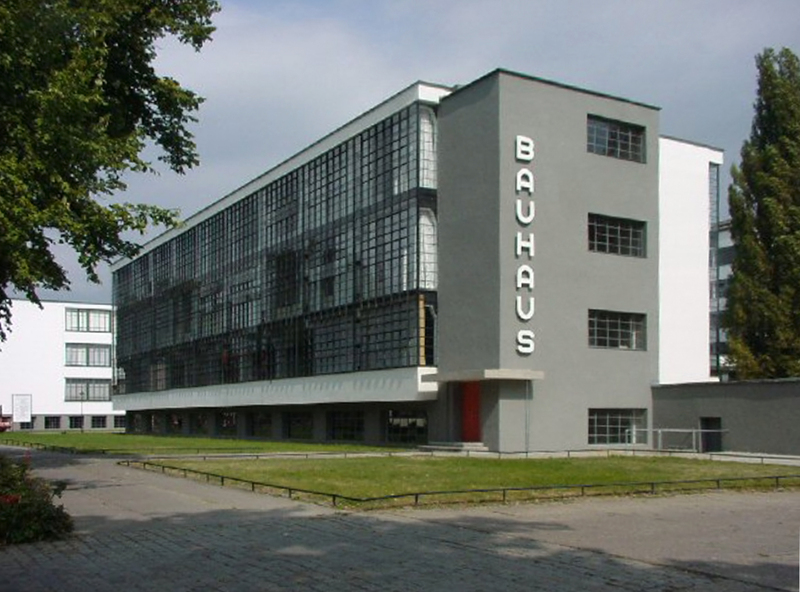 The Bauhaus, which was founded in Weimar by Walter Gropius in 1919 after the First World War, which finally ended the long 19th century, was the symbol of the architecture and design for this new era. After this rough and wild ride through the history it is time to pause briefly. For after my execution one can legitimately ask some questions: progress, usefulness, reason, logic, thrift – these are all great things, right? And even more so if the idea is to spread them through products, that should finally be made accessible to everyone; Tremendous! And that was actually the case. For every criticism of modern functionalism, that focuses only on its brutal, reduction-motivated side, precisely reproduces this one-sided image and must repeat the mistake that the functionalists made themselves. Functional design, and especially the design of the Bauhaus, was more than just the contempt for all ornaments. Many designers and design historians would disagree with me if that would be my statement. If the idea of ​​the Bauhaus had been based on this mere rejection, the reactionary coolness, it would never have been so formative for the design discipline. For what the Bauhaus wanted to do was to design no less than the future itself. A utopian future that had freed itself from the past of a class society. A future in which the industrially manufactured products had become affordable for everyone. A future in which these industrial products did not have to lose either aesthetics nor simply tried to repeat the well-known bourgeois style. The idea was to find beauty in the most limited, minimalist ways. A beauty that had a place in everyday life. Their expression was not exclusiveness, but simplicity, which everyone could enjoy because they followed comprehensible rules. Thus the Bauhaus idea was to bring beauty to the everyday life of every human being through the aesthetics of industrial products – through art. 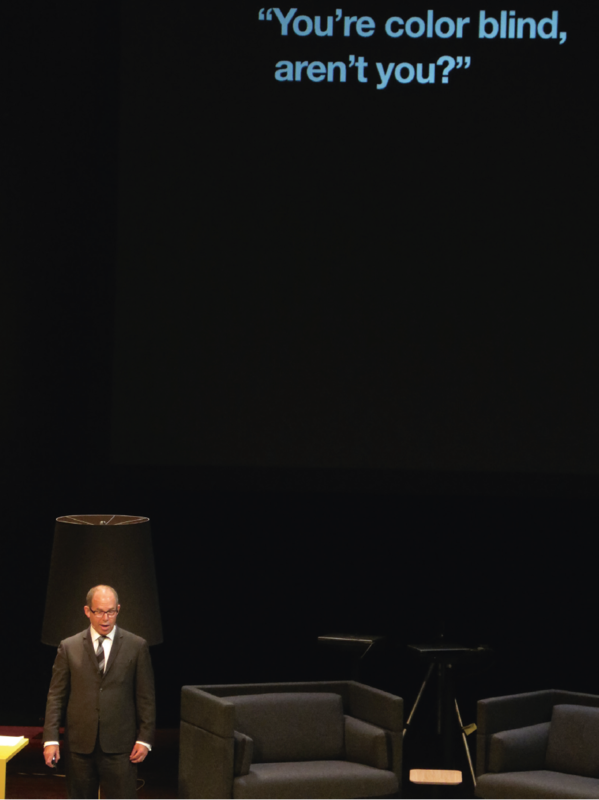 And Gropius himself actually said: art and technology – a new unity. That is the myth that still today surrounds the Bauhaus and makes up much of the charm of functionalism. It was an unprecedented task that had never been formulated before. It was a truly avant-garde advance. The title of this article, however, already hints at my skepticism. I can not stop at this overwhelmingly positive summary. So what had gone wrong? Three things can be said against the functionalism which the Bauhaus and its successor institution, the HfG Ulm, represented. First, they used an aesthetic of absolute necessity and thus restricted the horizon of possibilities for design. They absolutized the one all-determining function. They subordinated everything else. The problem here, however, is the determination of the one primary function, the essence according to which the form is to be directed. Linked to it is the degradation of everything else as superfluous. This thought is based on the idea that one can recognize and depict this function in a distilled, completely pure state, and that the resulting good form would be a general, timeless design. Timeless design, however, is a contradiction in itself. And even if there is actually a kind of hierarchical main function, this is only given to us by the complex network of different side functions and by the interaction of a particular user with the object. Which function is created when interacting with another user and which secondary functions influence the main function in that context is a completely different story. 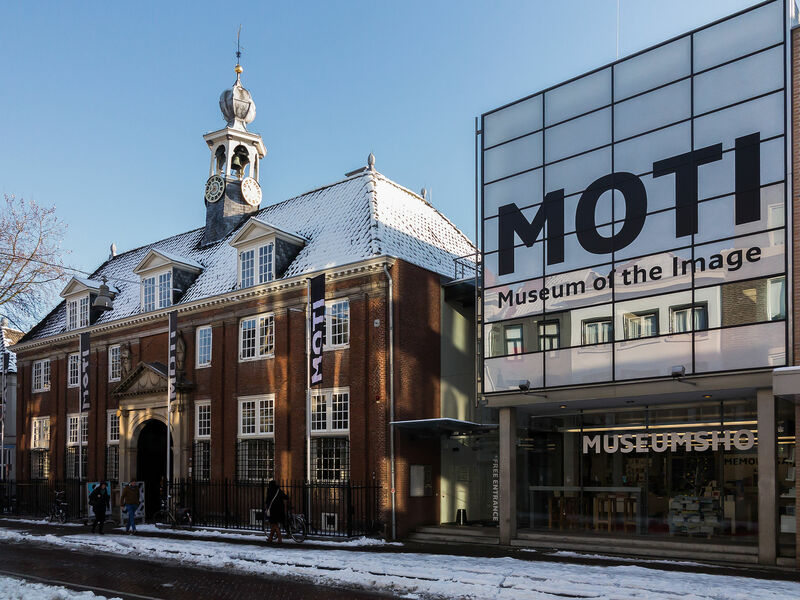 Secondly, and this is the more serious mistake because because it’s a political one, it was the declared attempt of the Bauhaus as well as the HfG Ulm to educate the people through the good form to good citizens with appropriate tastes. As much as man was generally at the center of the design, the maxim of the good form contained an elitist tutelage and equalization of the otherwise tasteless masses. However herein equality undergoes its dialectical inversion. For if you set it as an abstract idealistic goal, it automatically creates inequality. There are always those who are not yet equal enough to adapt themselves to this good taste. This is the fault of every ideology that strives for equality as a merit in itself. It does not take the people in their difference seriously. 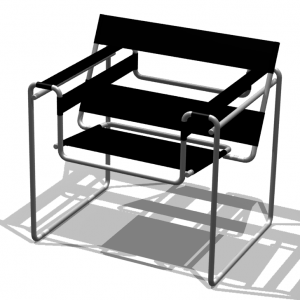 The B3 chair – also known as Wassily Chair – was developed by Marcel Breuer between 1925 and 26 at the Bauhaus Dessau. The chair was given this name by an Italian furniture company after they had learned that Kandinsky, who was a teacher at the Bauhaus at the same time as Breuer, had admired the design and had a B3 chair made for his private rooms. And even if a chair by Marcel Breuer or a shelf by Dieter Rams may look as if they were designed even in the smallest detail with absolute necessity and therefore with general validity; As if there was no alternative to this one solution – they only use an aesthetic of this necessity they call functionalism. They play with this calculation. If Marcel Breuer’s chair was placed in a hut of the Hadzabe from Tanzania or a Mongolian yurt, one would already have to agree with the idea of ​​a superior culture to assert that the chair was not entirely unsuitable and out of place. The idea that there is a timeless and universal design arises from the same arrogance with which one believes that experts have to educate people on good taste. It is the eternal stumbling block of the avant-garde who thinks they know better than everyone else. The third and final argument against the functionalism of modernity is certainly not as strong as the other two, the aesthetic and the political one. But it allows for a completely different view of the intentions of the Bauhaus and leaves unsightly scratches in the otherwise so steely ideals. It is the equation which places people at the center of the efforts of the Bauhaus. Thus, the unity of art and technology for man becomes the instrumentalization of art to the subordination of man to technology. I will try to explain that in other words. One can, of course, see that industrial production produced entirely new kinds of objects that demanded a new, minimalist and unadorned aesthetic. But if one reads this the other way around, industrial production demanded a minimalist aesthetic, because it could only produce unadorned objects and had to sell them massively. From this point of view it was not so much the aesthetics of pure form as such, but the justification of industrial, schematic production, and the associated increase in value and sales. I would be the last person to blame design for being oriented towards the market. Design was and is determined by economic interests, even if it is always able to rise above those. This change in the direction of perspective however relativises the idealistic representations of the Bauhaus and raises the question of the extent to which technology exists for man and not the other way round.